Regular fit is a slightly looser cut than what players wear on the field. Ribbed V-neck. Short sleeves. 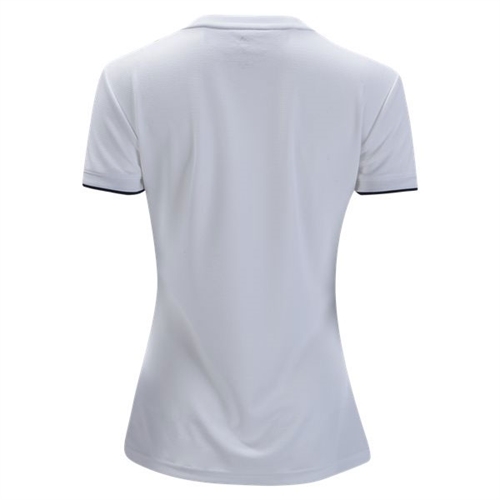 100% recycled polyester doubleknit. Real Madrid woven crest. 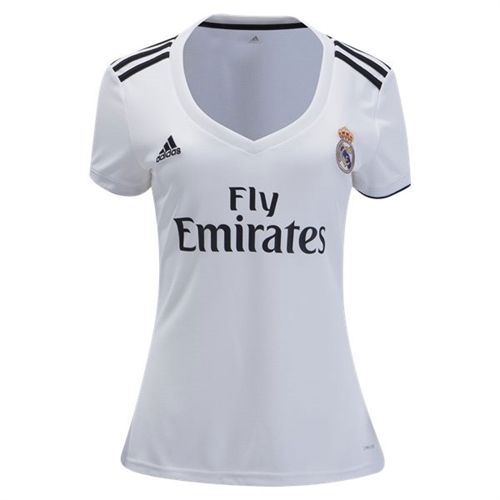 Our adidas Real Madrid Women's Home Jersey 2018-2019 is what Los Blancos wear when they set the pace on their home pitch. Made with Climalite® ventilation, this women's jersey features their proud team badge on the chest.